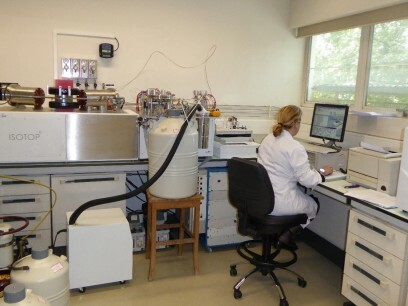 The IDL Geochemistry Laboratory is located at DG-FCUL – Geology Department of the Faculty of Sciences of the University of Lisbon, consisting of several laboratory and experimental facilities that cover the wide range of uses and objectives linked to the team members’ needs in providing state-of-the-art research, as well as pro-bono education to the Community and services for private companies. The main purpose of the Laboratory is to provide a wide range of rock and mineral analyses, mostly focused on mineral identification and chemical quantification. 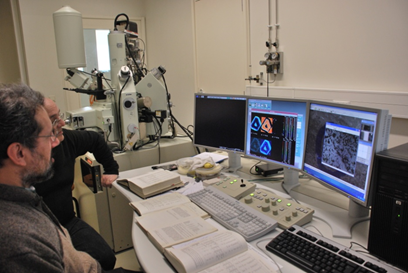 The equipment include facilities for sample preparation, mineral separation and concentration, mineral chemistry analysis (EPMA – JEOL JXA-8200, and x-ray Difractometry – PHILIPS PW-3710), whole-rock lithogeochemistry (XRF – PHILIPS PW-1480, AAS – VARIAN 220FS, Elemental Analyser – EuroVector EURO EA, and Gas Chromatography – Perkin Elmer Claus 500), stable isotope analysis (ISOTOPe Dual Inlet Mode), and fluid and melt inclusions (CHAIXMECA MTM90 and EHEIM 3).